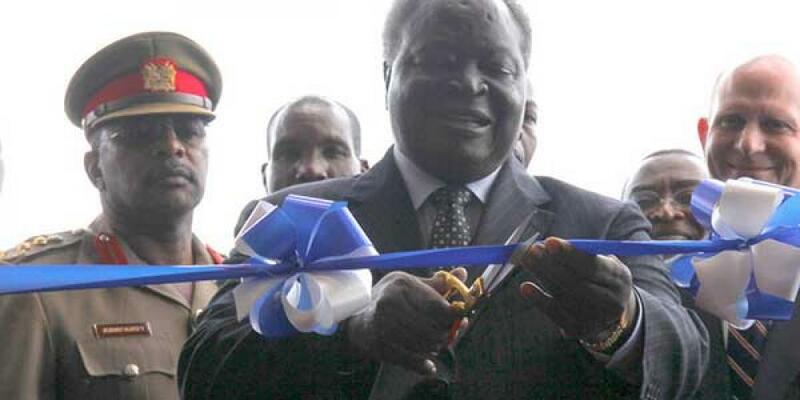 “I commend the Adventist University of Africa for championing one of the flagships of the social pillar by facilitating and promoting the provision of education,” said Kibaki, while acknowledging that the Adventist-sponsored university in Baraton was the first private university in the East African country. On hand to host the Kenyan head of state was Adventist world church President Ted N. C. Wilson, who underscored the Adventist church’s commitment to equipping the university to offer high quality education. AUA typically enrolls about 380 students per semester and is directly affiliated with the Adventist world church’s headquarters. Its new library, a three-story complex, was built at a cost of US$6 million, with the initial $1 million donated by U.S. philanthropist Judith Thomas. Another $1 million was mobilized through a special book project initiated by the late James Cress, then secretary of the Adventist world church’s Ministerial Association. The library includes an Ellen G. White research center, which will house books related to Adventist Church heritage and an African heritage center featuring literature, art and cultural artifacts. The library also offers wireless Internet access and subscriptions to numerous online databases, providing student researchers with access to thousands of journals and books, said university Vice Chancellor Brepong Owusu-Antwi. 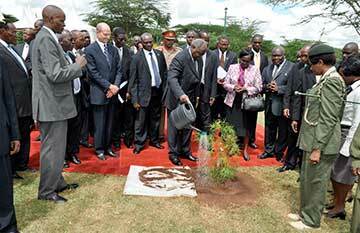 The foundation stone of the library was laid in 2005 by then Vice President of Kenya Moody Awori. The complex is located at the Advent Hill compound, which hosts the denomination’s East-Central Africa Division headquarters and Maxwell Adventist Academy. The event was attended by local administrators, politicians and cabinet ministers. AUA council chairman Pardon Mwansa, a vice president of the Adventist world church, commended the church’s headquarters for its steadfastness in influencing transformational leadership through education.